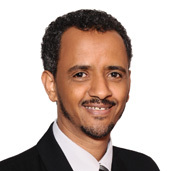 Pregnancy, cardiovascular disease and maternal mortality will be the topic when Mulubrhan Mogos, PhD, MSc, speaks Monday, June 4, noon-1 p.m., in Nursing Annex room 162 as part of the Vanderbilt University School of Nursing Dean’s Diversity Lecture Series. Mogos will present “Pregnancy: A Window of Opportunity to Address Future Cardiovascular Health among Women.” The lecture is free and open to the Vanderbilt community. Lecture attendees may order a box lunch for the event at https://www.surveymonkey.com/r/RJDLJSH. An assistant professor in the College of Nursing at the University of Illinois at Chicago, Mogos focuses on the impact of hypertensive disorders of pregnancy on future maternal cardiovascular disease risk and birth outcomes. Currently, he is co-primary investigator on a project examining health disparity in obstetric procedures and co-investigator on an R01 study about preterm birth. Mogos’ findings, published in the journal Circulation: Heart Failure, suggest that pregnancy and delivery-related hospitalization provide a window of opportunity to identify high-risk women and develop monitoring strategies before discharge. The study also noted health disparities that showed heart failure disproportionately affected women who were black, tobacco or alcohol users, older than 35, insured by Medicare/Medicaid or lived in neighborhoods with low median household income. The Vanderbilt University School of Nursing Dean’s Diversity Lecture Series was established in 2016. It explores the diversity of backgrounds, cultures, ideas and viewpoints in the world today. It seeks to equip students, faculty, staff and other community members with the knowledge and understanding needed to lead nursing forward in a global society.